I have been working on a couple of coconut favorites, still struggling but I think I've got it. I just need a stronger coconut flavor. 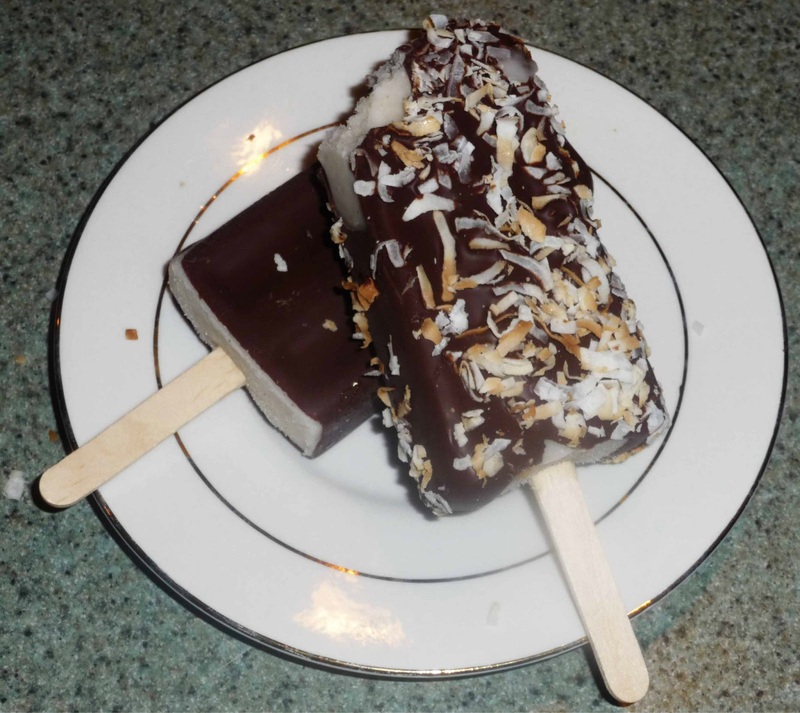 I actually have 2 that will be going to be on the menu, one is the Tropicalada, (pineapple, coconut, banana, and strawberries) and the other is going to be The Toasted Nut, (Coconut ice pop dipped in chocolate and rolled in toasted coconut). YUM!!!! I think these are going to be big hits with coconut lovers. I guess I do love coconut!!! Your comments and suggestions are always welcome. But like our ice pops keep them cool and sweet. Any sour suggestions are welcome also but please keep them in good taste. Want to make your own ice pops? Gourmet Glace . Simple theme. Powered by Blogger.